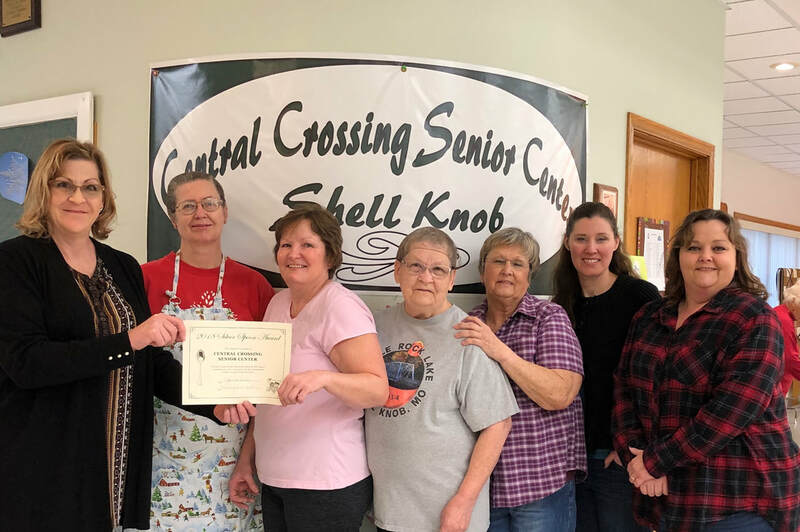 The Central Crossing Senior Center was presented the coveted Silver Spoon Award by the Barry County Health Department for zero health violations in the kitchen and dining facilities for all of 2018. This is a high honor and is only awarded to permitted food establishments which have demonstrated sustained excellence in public health food safety. Pictured, from left to right: Jan Cox-Drews, Barry County Health Department; Rita Warner, CCSC; Joni Herzog, CCSC; Barbara Bass, CCSC; Judy Sell, Kimberly Scritchfield, both Barry County Health Department; and Terri Johnson, CCSC Administrator.